Ross Cunningham, PhD, is an Advanced Scientist within the Front End Innovation group at Owens Corning and is the business development leader for the XSTRAND™ high-performance composite filament product line. He has been working on materials challenges related to the 3D printing of metals and composites for the past six years. 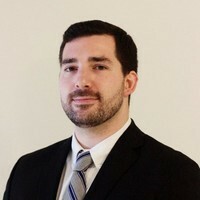 Ross received his MS and PhD in Materials Science & Engineering from Carnegie Mellon University, and holds dual bachelor’s degrees in Materials Engineering and Integrated Business and Engineering from Lehigh University.